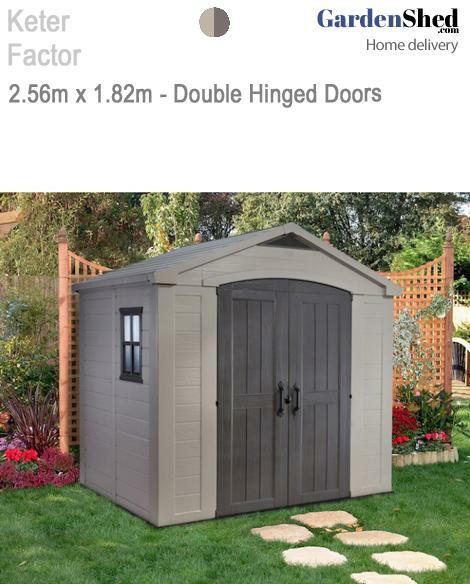 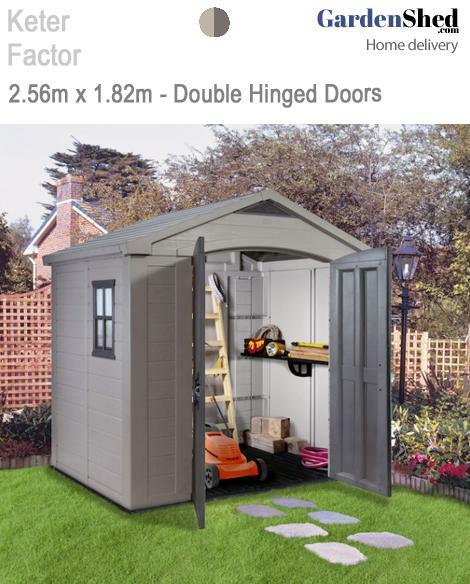 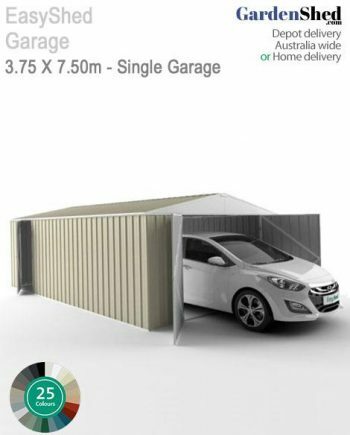 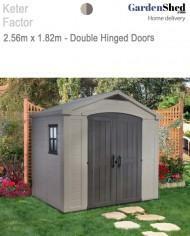 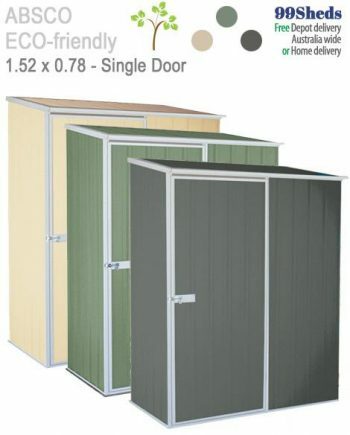 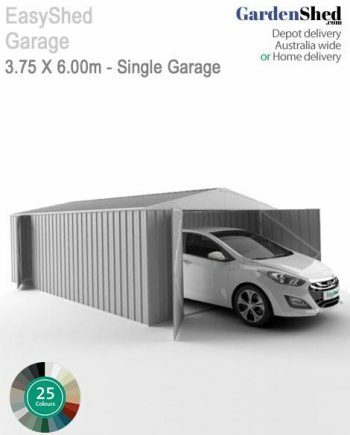 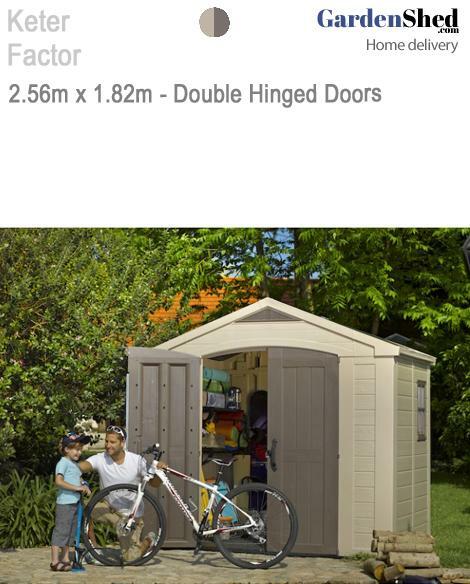 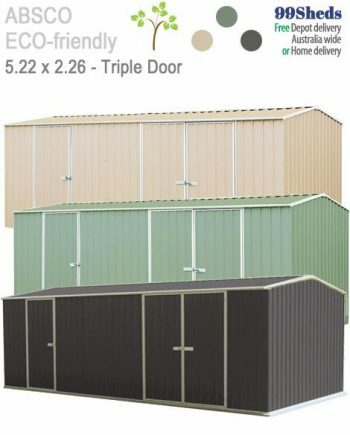 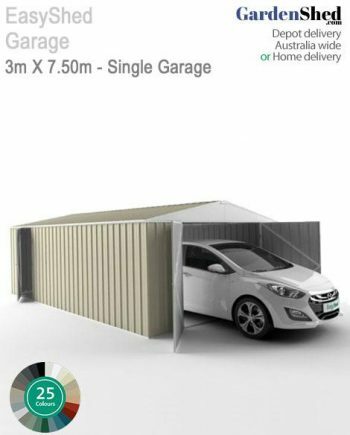 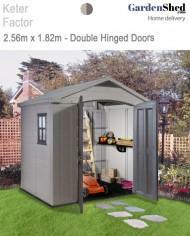 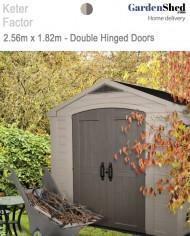 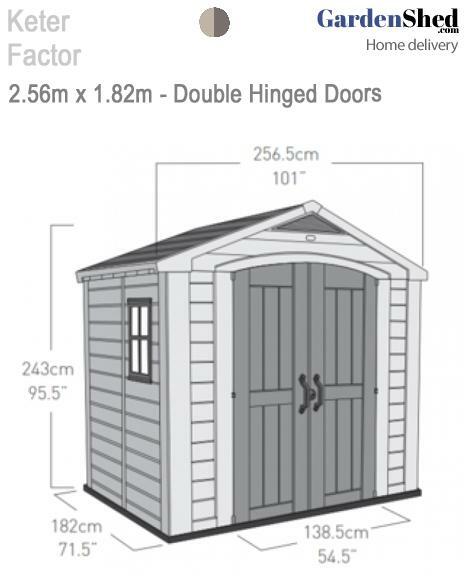 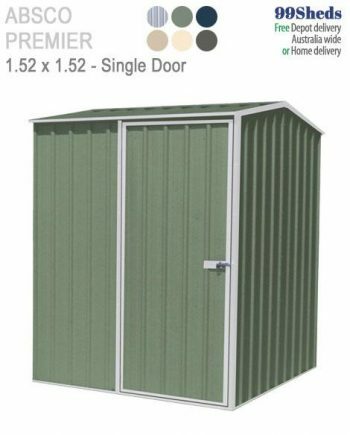 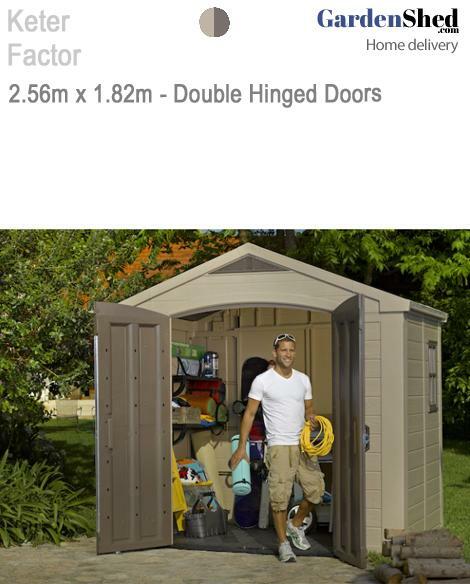 The Keter Factor 8×6 Resin Garden Shed is an attractive and effective storage solution. 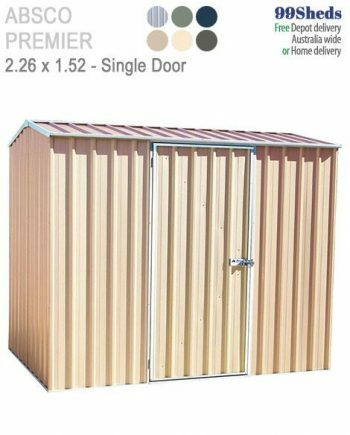 It’s made out of a durable, weather-resistant resin that is reinforced with steel, and features a great wood-like texture. 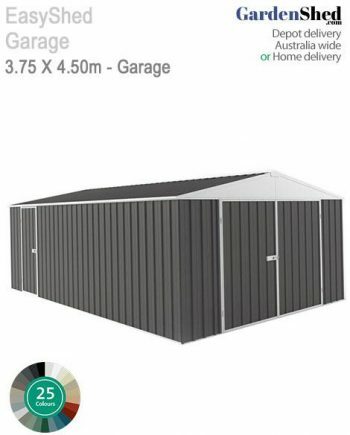 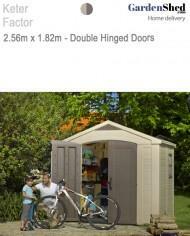 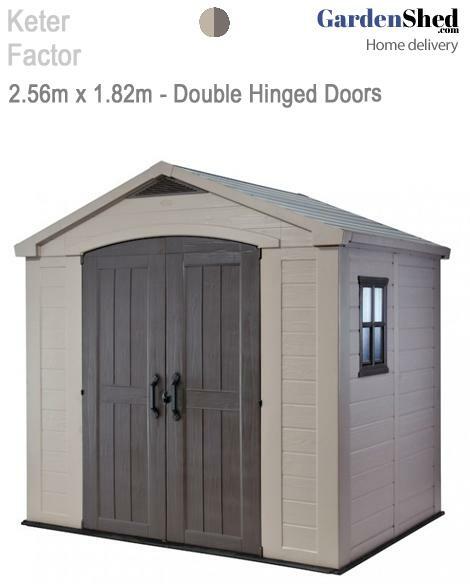 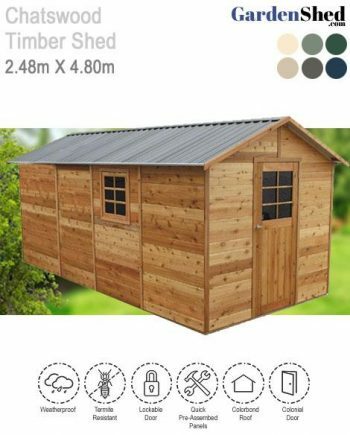 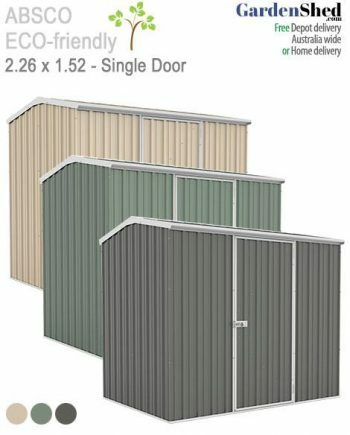 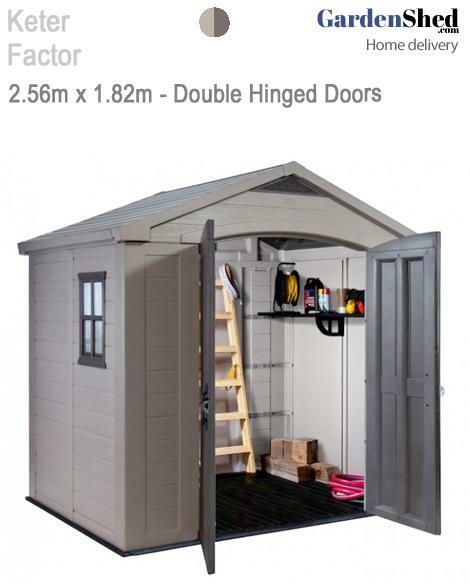 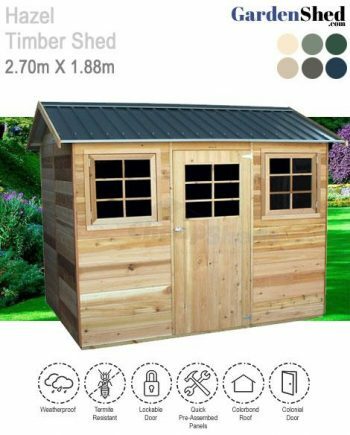 This shed is also ventilated and has a heavy-duty floor and double doors. 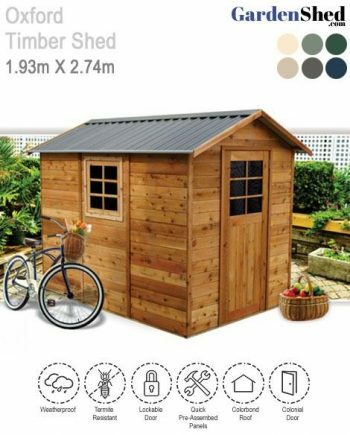 It’s easy to assemble with household tools.